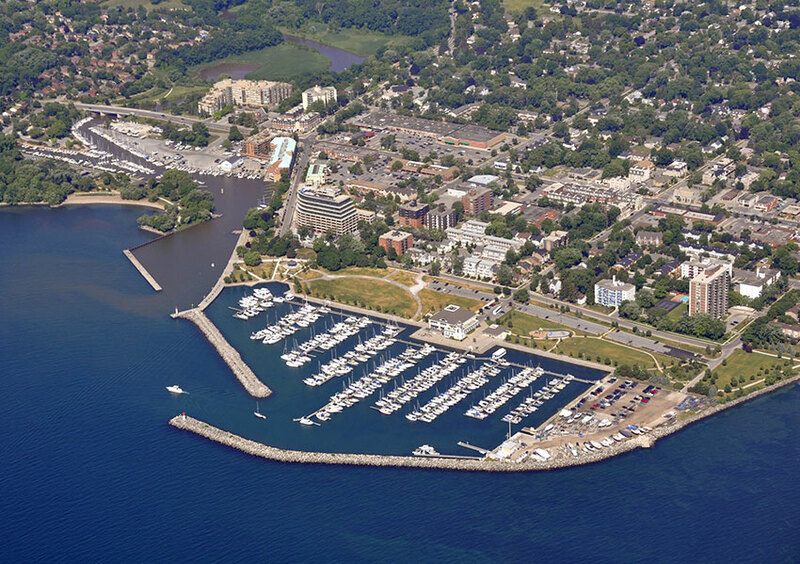 With the early economy built around agriculture and ship building, Oakville’s proximity with Toronto and position within the Golden Horseshoe assured its prosperity as the region developed. Chosen as the head office and main factory for Ford Motor Company of Canada, Oakville still hosts a commercial-industrial strip bordering the QEW. While the QEW is certainly prominent, running the length of the town, much of the traffic is just passing through. This is consistent with the town’s history. The road that became Dundas Street was first surveyed as a military road in the 18th century. It wasn’t until the early 19th century that settlers formed a community around the road, almost 5 km from the Lake Ontario shore. The importance of water travel at the time assured that others settled on the lake, around the mouth of Sixteen Mile Creek. The table below shows Oakville car insurance cost for a sample driver. We surveyed the car insurance prices in Oakville for the purpose of illustrating the range in quotes based on driving record, location, and other criteria. To get a customized quote, enter your postal code above. As with all Ontario communities, Oakville’s drivers must ensure all cars have insurance. While the province’s insurance market, supplied by private insurers, remains competitive, the industry is highly regulated. All insurance companies follow regulations as part of their certification. In spite of this, each company has its own underwriting procedure. This can mean that similar policies from various companies have widely varying costs. This is good news for the insurance consumer. The bad news is that claims and strict regulations combine to make Ontario the most expensive province for car insurance. The provincial government aggressively pursues ways to cut back costs for residents, but there’s still a long way to go before Ontario reaches the middle of the pack nationally. The province requires a mandatory level of coverage. No insurer can sell less than this amount. The levels of statutory coverage create a problem. The amounts of insurance specified for accident benefits, and more crucially, third party liability, aren’t adequate to protect drivers in all circumstances. While motorists have options to add coverage, this drives up the price of an auto insurance policy. Changes to accident benefit coverage in June 2016 reduced the amount insurance companies pay for health and rehabilitation costs stemming from an accident. While the changes won’t affect every person involved in an accident, in some situations, insurers pay only half of the amount prior to changes. Liability coverage is more likely to fall short without buying optional insurance. The province of Ontario requires only $200,000 in third party liability coverage for cars on the road. While this amount is similar to most other provincial plans, it may not be enough to pay settlement costs for a serious at fault accident. Accident awards of $300,000 or greater are not uncommon. The driver remains responsible for amounts paid beyond insurance coverage. Most Ontario drivers buy extra coverage. Collision and comprehensive insurance are not part of the provincial requirements for coverage. Most drivers add these to help with repair and replacement costs after an accident. Most of the traffic through Oakville travels via the QEW. From the west, through Oakville, Highway 403 runs concurrently with the QEW. The 403 breaks off north of Ford Drive, eventually running between Burnhamthorpe Road and Eglington Avenue for a high-volume route through Mississauga. The QEW/403 feature high occupancy vehicle lanes through Oakville. Cars must have two occupants, including the driver, to use the HOV lanes. During special events, such as the Pan Am Games, requirements are three occupants, including the driver. Highway 407ETR runs roughly parallel with the QEW through Oakville, north of Dundas St. The 407ETR shares an interchange with the QEW and 403 as it turns north toward the 401, after which it resumes its east-west direction. Oakville’s road grids base off surveyed lake frontage on Lake Ontario. North-south and east-west routes tilt about 45 degrees off true compass directions. Major north-s0uth town routes include Bronte Road, Third Line, Dorval Drive, Trafalgar Road and Ninth Line, west to east. East-west arteries feature Dundas Street, Upper Middle Road, Speers Road, Rebecca Street as well as Lakeshore Road, north to south. The Ministry of Transportation for Ontario maintains a traveller’s information page for Halton Region, including Oakville. The MTO also provides online traffic camera information. Cameras in Oakville list in the Burlington/Mississauga area. Halton Region provides road and travel information for the region on its website. 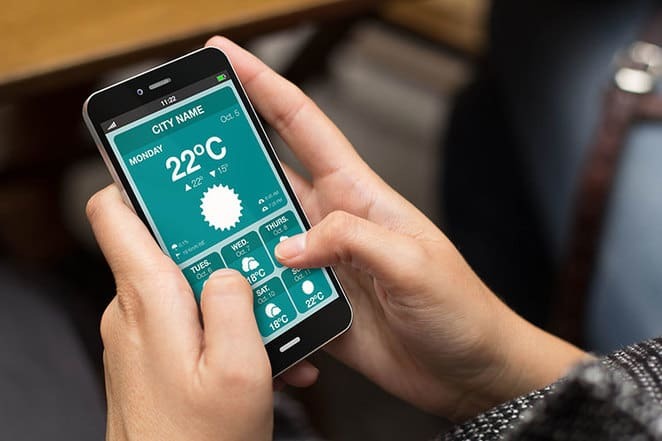 The Weather Network carries short and long term weather forecasts for Oakville and area. CTV News Toronto consolidates traffic as well as road conditions for the Golden Horseshoe Region on its website. Information comes from several sources, including the MTO and Google Maps. Oakville’s DriveTest centre is located at 2370 Wyecroft Road. Dundas Street, surveyed as a military road, was meant to connect Toronto with London, Ontario. At the time, London was intended to be the capital of Upper Canada, though this never came to pass. The QEW grew from The Middle Road, a route between Toronto and Hamilton, and the current QEW still follows the original route faithfully. The Middle Road wasn’t the first paved Toronto-Hamilton Road, but as early as 1920, bumper to bumper traffic made additional capacity necessary. The QEW developed as Canada’s first controlled access highway, modeled on the German autobahns. The QEW also served as model for the later Highway 401. Highway 401 may be the single most important contributor to the economic and industrial success experienced in Ontario, according to some. Shopping for car insurance in Oakville? Use the car insurance calculator here at Ratelab to access the lowest rates for the most appropriate coverage. Simply enter your home postal code and start the process. Ratelab walks you through the simple information process to identify your auto insurance needs, and then it shops your policy with dozens of insurance industry partners, producing up to 10 low cost quotes. It takes only a few minutes. Try it now!